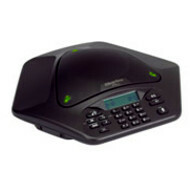 The ClearOne Max EX is unique in its expansion facilities - it expands by connecting additional conference units, not just microphones. 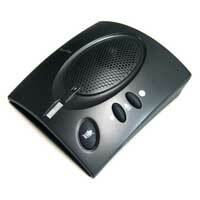 This creates an even distribution of microphone and speakers, unlike other conference units which only provide external microphones.Wherever users are seated, conversations are natural and effortless. 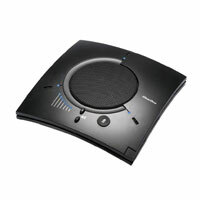 The Max Wireless is a uniquely versatile conferencing solution. It boasts up to eight hours of talk time with an automatic power save mode to conserve battery life when the phone is not in use. A power supply cord is included to enable the batteries to be recharged while the unit is in use. The MaxAttached Wireless provides expanded wireless coverage for medium sized conference rooms, delivering clear, full-duplex audio through two complete phone units wirelessly. The MAXAttach IP and MAX IP gives your customers the unique ability to daisy-chain up to 4 units together to provide a multiple distribution of speakers, microphones, and dial pads around the room for unrivaled coverage. In addition, they offer advanced audio signal processing technologies that deliver crystal-clear audio to participants on both ends of the call. The ClearOne MAX IP Expansion Kit allows customers to expand the ClearOne MAX IP and the ClearOne MAXAttach IP by adding an additional unit, up to a maximum of four units, therefore increasing the number of microphones and speakers, as well as the range covered. 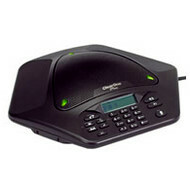 The Chat 50 personal speaker phone is a mobile audio peripheral that connects to a wide variety of devices and provides crystal-clear, hands-free audio communications. It provides unmatched full-duplex capability, which allows users to simultaneously speak and listen without audio cutting in and out. 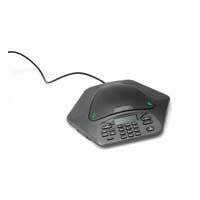 It also provides high-quality audio playback for music, gaming and other sound files. The Chat 50 can be used in a variety of ways, and connects to Laptops, PCs/Macs, telephones, mobile phones and video conferencing units.